The industry is swamped with real estate photographers these days. It seems as though everyone with a camera is jumping on board. 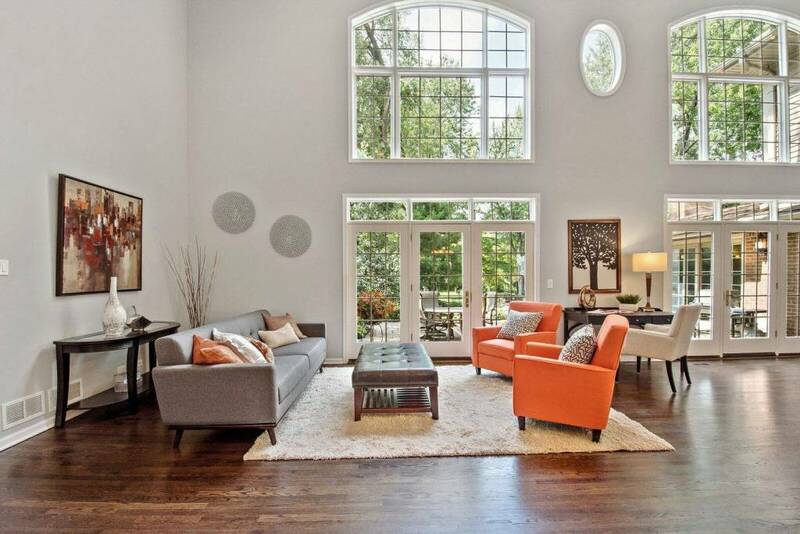 This rise in real estate photography has caused a large flood of work in the market, resulting in what only can be a tough spot for a photographer. To overcome this tough position and separate yourself from other photographers, we recommend you read this article which will inspire you to take better real estate images. Remember, the more work you put into your craft, the better the outcome. So without further ado, here are nine real estate photography tips to help you rise above the competition. Photographing real estate or commercial architecture requires special equipment in the form of a tilt-shift lens. A tilt-shift lens corrects any distortion ensuring any vertical lines remain vertical. 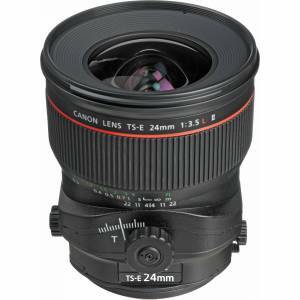 The lens is capable of correction as it can move off axis independently from the camera. You could use your standard wide angle lens, but unfortunately, you will have to do quite a lot of distortion and perspective control in post-production, which when you think about how many photos you will take can become a time waster. Purchasing or renting a tilt-shift lens can make all the difference to your photography. 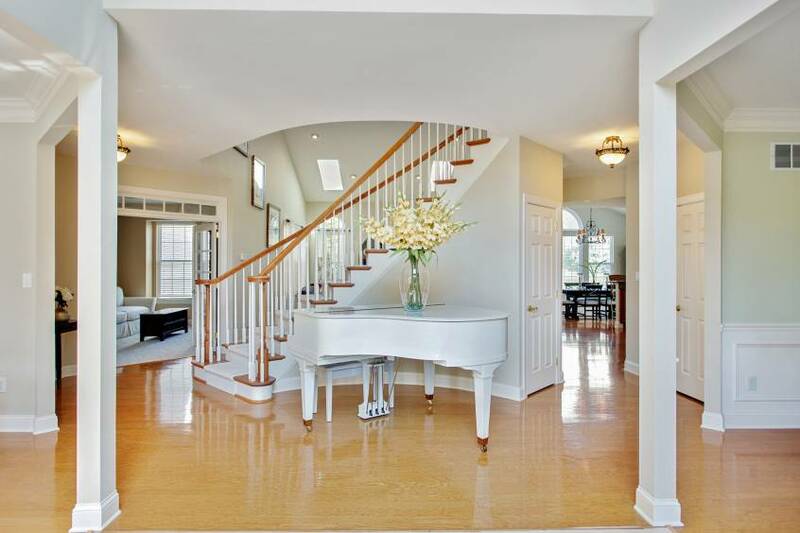 Please check out The Best Lens for Real Estate Photography to learn more. When first arriving at a new listing, rather than taking out your camera and shooting lots of photos, put your camera away. Instead, focus on cleaning the place up. At this stage, think of yourself as a set dresser rather than a photographer. The time you put into making the area look amazing is the time you will save in post-production. Things to do include turning on all the lights, turning off any television screens, and moving loose objects so it compliments your shot and the overall flow of the space. Once you have done all these things, then pick up your camera and take the photos. If the home is completely vacant, you may want to suggest to the real estate agent that they consider virtual staging. When taking lots of photos, the editing workflow can become a time-intensive process. In many cases, photographers refer to this stage as a nightmare. Many successful photographers outsource their editing so they can free up time to do more jobs. There are many companies offering cloud solutions for real estate photographers. However, if you are looking to outsource editing as well as all of the other administrative tasks like sales, scheduling & customer service, you may want to consider working with HomeJab. Many professional photographers seem to overlook this key tip. Without a great client relationship, there is no work. So, before you pick up a camera, build an excellent relationship with your real estate partner. Talk to them and understand what they require, meet their every need, arrive at the shoot on-time and always keep a positive attitude. Do this right, and you will never run out of work again. Many new houses have wooden floors. When you enter a home, the last thing you want to do is cause any damage. Make sure you have a well-maintained tripod that is free of spiked feet. Opt for a tripod with sturdy rubber feet instead. Otherwise, you will leave scratch marks all over, and you will end up having to pay for repairs. This sounds like a simple thing, but it happens to many photographers who don’t maintain their equipment. When photographing rooms with large windows, you can minimize your reflections by shooting during times where the light is evenly balanced. Typically, these times are dawn and dusk. Choose a right angle where reflections don’t show. If you find you can’t avoid reflections, turn off half the lights, and add them in Photoshop during post-production using the Render Light functionality. 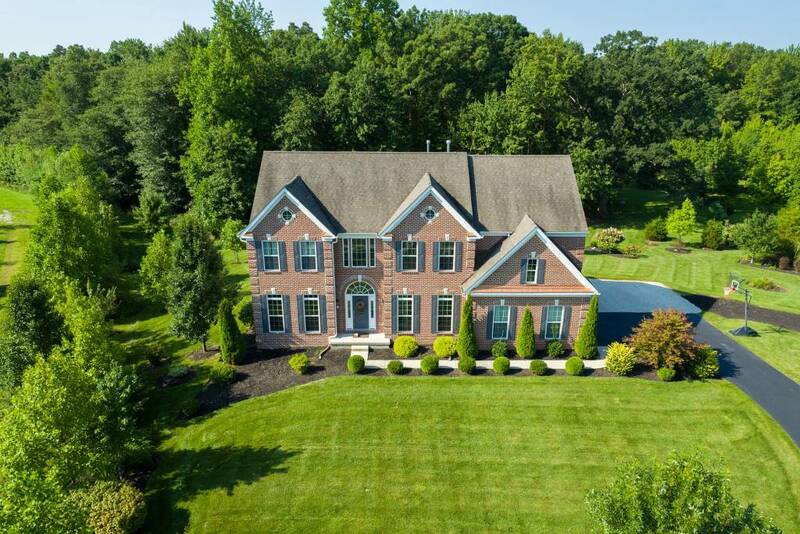 This tip may take time to master, but when you get your license to shoot drone real estate photography, your business will expand significantly. Real estate photographers who obtain their license are always in high demand as many of their clients opt for aerial photos of a residential or commercial property. These photos give their clients a perspective and an idea of the location they usually wouldn’t be able to see. Combine these aerial images with your high-end interior shots, and together they will complement each other ensuring the work is always coming in the door. Sometimes as a real estate photographer, you may find yourself in a dimly lit room, like a wine cellar or garage. Using a camera that has an excellent signal to noise ratio is essential to retain all the details in these situations. Some of the Sony A series and Canon series of cameras perform exceptionally well at higher ISOs. We encourage you to read our recent article Best Camera for Real Estate Photography for more details. Tip 9: Use an off-camera flash to light dimly lit rooms. Another way of lighting a room apart from bumping up your ISO is to take multiple exposures using an off-camera flash. All that’s required here is to set your camera on a tripod then sync a wireless trigger to the camera and on the flash head. Once you have everything working together, then take a few photos without moving the camera and fire the flash in different areas of the room to ensure you obtain a correct exposure. Then, in post processing, combine all the images and mask out any areas where you may see the flash. The result will be a beautifully lit photograph. 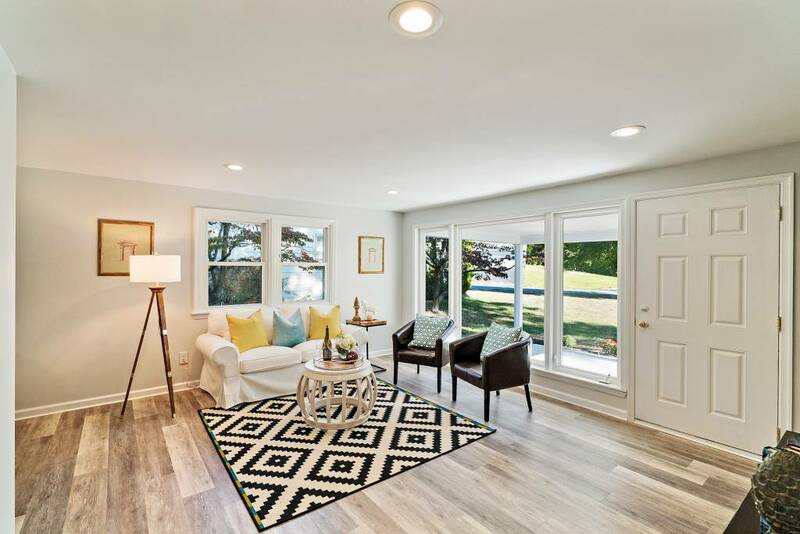 Hopefully, when combining all these real estate photography tips, you can lock in some extra work and stand out from the crowd as a real estate photographer. The climb will be hard to gain more clients, but at the end of the day, your bank account will thank you.